I have to admit that the iWatch render below somehow went under our radar, in spite of the fact that Nickolay Lamm created it early this year. This piece of work looks interesting, especially because it’s round and not rectangular as many other Apple smartwatch concepts. People expect here an iPhone in watch form and I can’t say they’re wrong to have such expectations. Just like the Galaxy Gear unveiled by Samsung, this product will most likely serve as an accessory to complement existing Apple products and won’t be used as a standalone machine. I’m not sure how the spiral navigation thing would work, but it looks pretty cool. The idea of a carousel interface hasn’t been done on such a small format and not even the bigger screen portable devices have risked using it. The inspiration came from the Ikepod Geneve Horizon watches, whose designer and owner is a good friend of Jony Ive’s, the main brain at Apple right now. 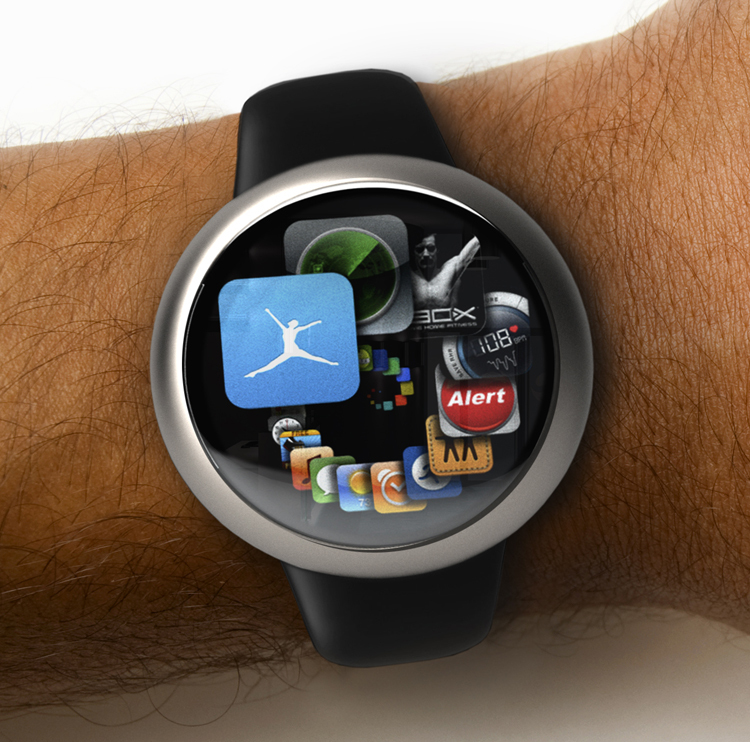 Does this iWatch concept make sense? What do you think? By the way, the 2014 thing? It was all over the blogs today, with solid sources!